In a couple of recent social media posts, when referring to Sir Robert Menzies, some readers have remarked that his nickname was ‘Pig Iron Bob’. To answer the inevitable question of ‘why’ Menzies, and some other prime ministers, were given various nicknames, here is a guide to some of the more well-known ones. 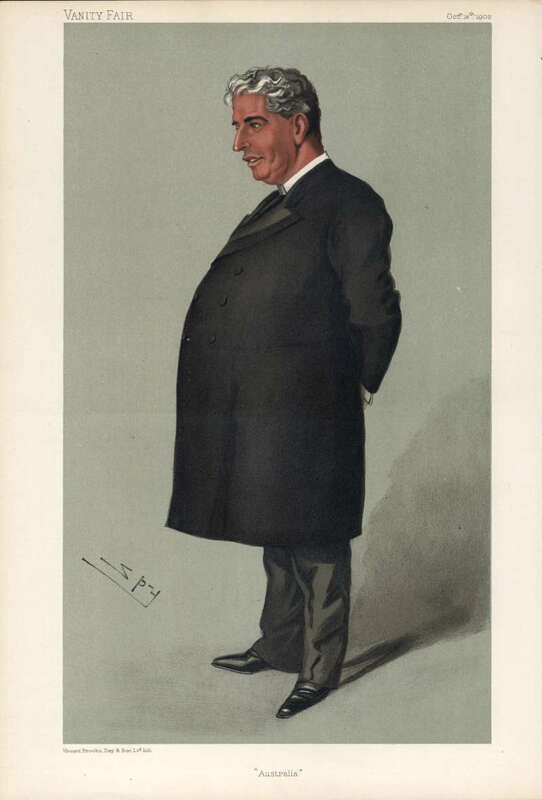 This ‘Vanity Fair’ caricature of Edmund Barton by Leslie ‘Spy’ Ward shows him corpulent and looking a little sozzled; this was a common way of depicting Barton by those who disliked him. The nickname ‘Toby Tosspot’ was applied to him by the same opponents. The first prime minister, Edmund Barton, had been known as ‘Toby’ since childhood. The Bulletin magazine named him ‘Toby Tosspot’, after a poem by George Colman, and the name stuck. It was based on Barton’s love of long dinners with more than a few glasses of fine wine – a ‘tosspot’ is a slang term for a habitual drinker. His opponents latched onto it as an insult, and continued using it long after Barton’s retirement. A nastier variant was ‘Toby Tub’, which is a kind of chair, referencing Barton’s weight and accusations of laziness. 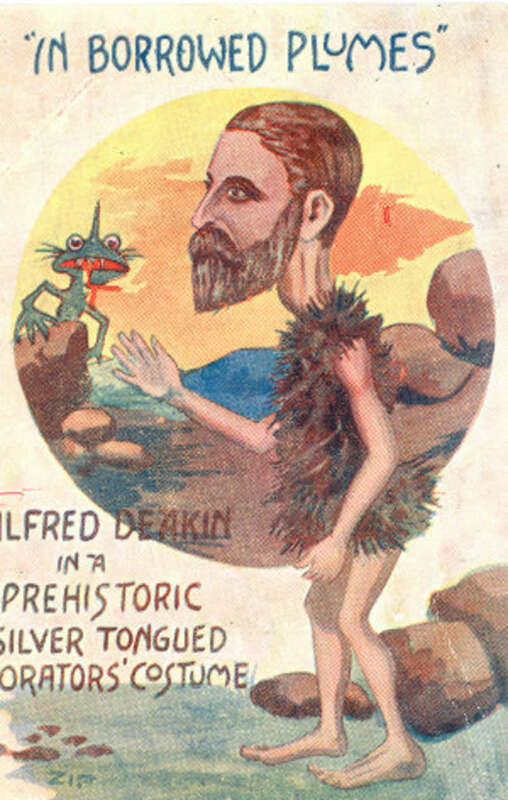 ‘Affable Alfred’ Deakin was usually shown as an amiable fellow, a gifted orator with a thoughtful, reasoned mind. This postcard however attempts to paint him as a fraud, showing him wearing ‘borrowed plumes’, taken from an old Greek fable. The nickname ‘Affable Alfred’ was frequently applied to the second prime minister, Alfred Deakin, either by friends or the press. It came from his acknowledged good-natured and courteous nature. Sometimes, opponents would use the name sarcastically, implying Deakin was anything but. However, almost every biography and description of Deakin suggests he more than lived up to his nickname. Billy Hughes’ nickname of ‘The Little Digger’ helped to endear him to patriotic Australians who remembered him for his leadership during the First World War. 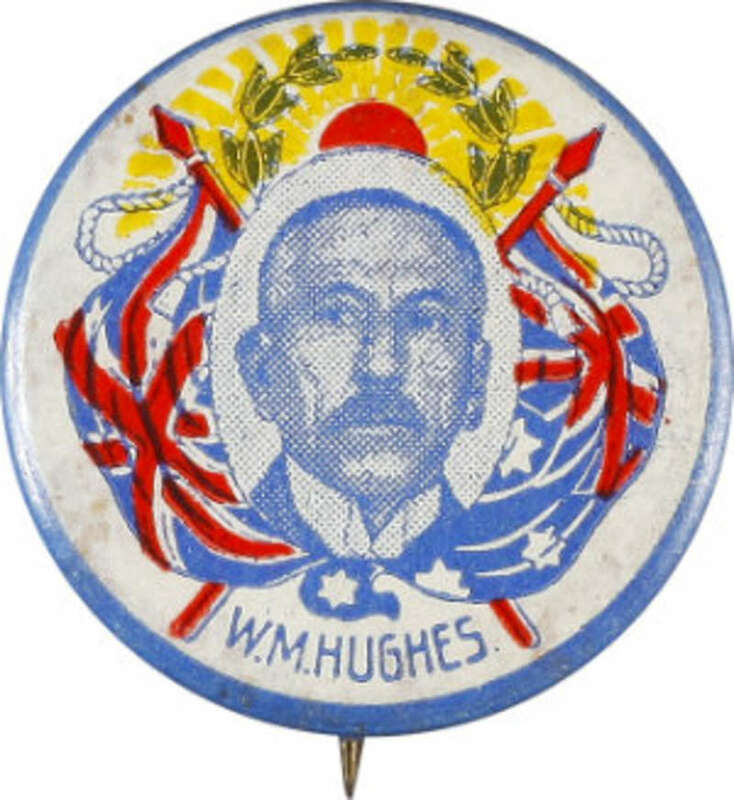 This campaign badge shows Hughes festooned with the symbols of Britain and Empire, an association he cultivated vigorously. William Morris Hughes (Bill to his friends, ‘Billy’ to the general public) was known as the ‘Little Digger’, a nickname stemming from his popularity with Australian soldiers during the First World War. That popularity transferred to the public, and the nickname along with it. ‘Digger’, of course, referred to an Australian soldier and ‘Little’ because Hughes was short in stature. Hughes’ wartime leadership came to define his persona for the rest of his life; right up until his death he attended Anzac Day parades in Sydney, and after he died a slouch hat was placed on the chair he usually sat on to honour Australia’s ‘Little Digger’. 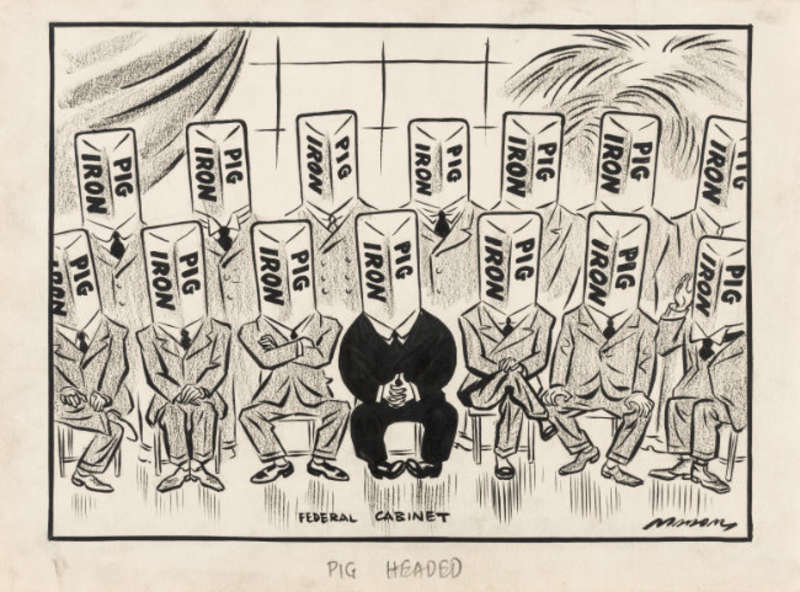 This 1938 cartoon by Will Mahony tarnishes not only Menzies, but the entire Lyons Cabinet, with the ‘Pig Iron’ epithet. The decision to force the loading of scrap iron to Japan was a unanimous one, but only Menzies was stuck with the nickname. Robert Menzies had many nicknames, but the two that live on in popular memory are ‘Pig Iron Bob’ and ‘Ming’. 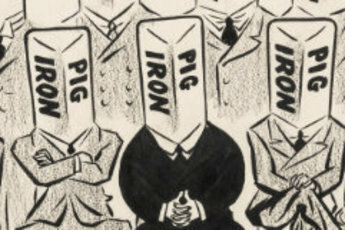 The first comes from a 1938 Lyons government decision to sell scrap iron, or ‘pig iron’, to Japan. At the time, Japan was seen as a potential military threat, and dockworkers refused to load the iron on grounds it could be made into weaponry and used to attack Australia. A lockout and strike dragged on for weeks, and the epithet ‘Pig Iron Bob’ was levelled at Menzies for his role in the dispute as Attorney-General. This might have been a little unfair, since Menzies was doing as he was asked, and Cabinet had fully backed the sale. But the name stuck with Menzies for the rest of his life. The second nickname, ‘Ming’, derives from the Scottish pronunciation of Menzies; ‘Ming-is’. The Clan Menzies is a prominent Scottish family, and Menzies preferred (in vain) that pronunciation of his name. Shortened to Ming, the name also echoed a popular science-fiction villain, ‘Ming the Merciless’, from the Flash Gordon comic books and later films serials. 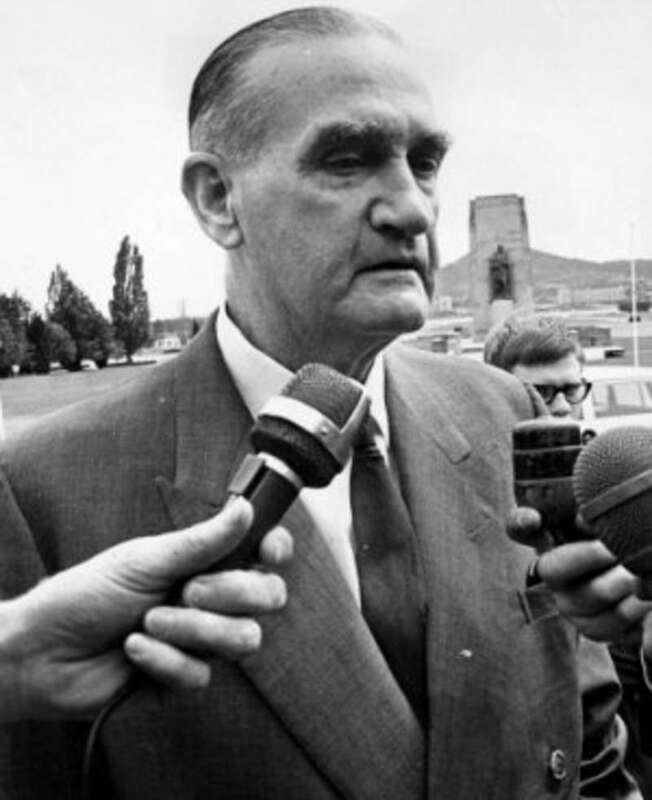 The dour, sullen image of ‘Black Jack’ McEwen was never more evident than when, as acting Prime Minister, he announced the sad death of Harold Holt on 20 December 1967. While friends found him personable and open, his public image was very much in line with his nickname. A type of weapon as well as a card game, the name ‘Blackjack’ or, rather, ‘Black Jack’ was a reference to John McEwen’s dour, brooding and sombre personality. The ‘blackness’ of McEwen was highlighted by his propensity for dark suits and ties. The name was coined by Robert Menzies, who appeared to delight in it. He sometimes referred to McEwen in French as ‘Le Noir’, once joking that he only did so when he didn’t want other Country Party politicians to understand who he meant. Bob Hawke’s greying coiffure led to comparisons with the ‘bodgies and widgies’ of the 1950s. By the time he was Prime Minister his hair had adopted a less dramatic appearance, but the nickname ‘Silver Bodgie’ had stuck nonetheless. 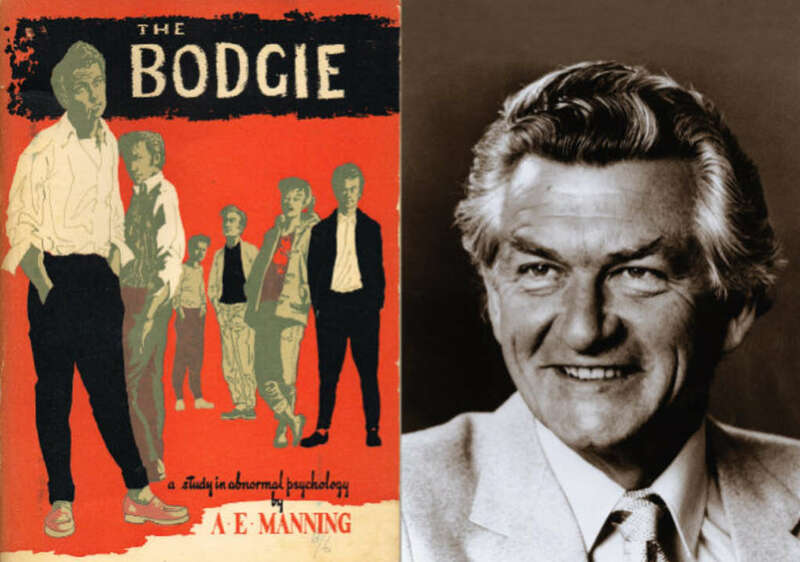 A bodgie was a 1950s teenager who dressed like an American ‘greaser’ from popular films (James Dean being one such style icon). Boys were bodgies, girls were widgies. It was a subculture based in part on emulating the American soldiers recently stationed in Australia – some even spoke with American accents. One characteristic was particularly impressive, coiffured hair. After Hawke achieved national fame, first as President of the ACTU then as prime minister, he still styled his greying hair in this way. Hence, he became the ‘Silver Bodgie’ to the national media.